The MDM300 is a semi-automated debonding station, specifically designed for research and development laboratories or pilot lines during ramp up of a new technology. 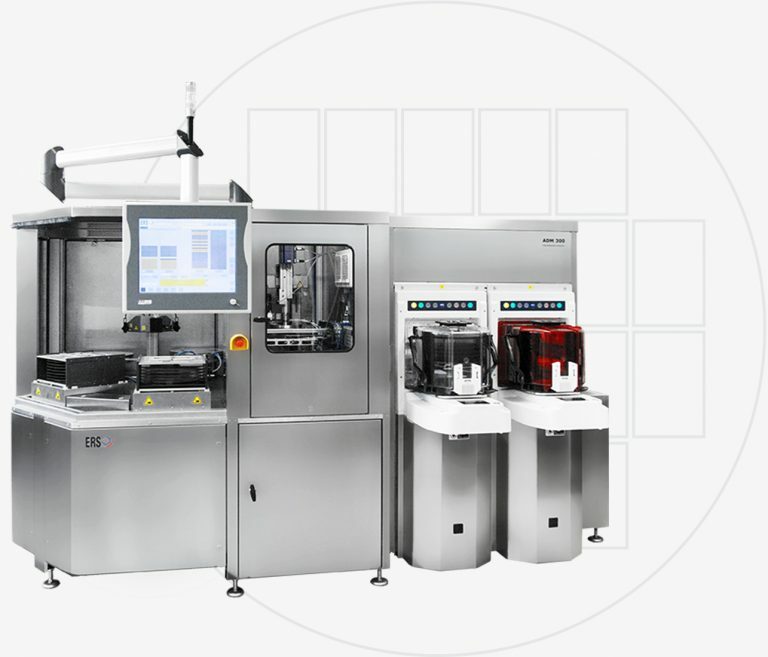 The ERS MDM300 System is designed for semi-automated separation of wafer and carrier related to the eWLB technology („debonding“). Debonding for thermal release bonding agents is performed. The system provides high repeatability of results with respect to the quality of the debonded wafer. It offers a semi-automatic PLC controller with storage capability of more than 100 recipes. The machine is capable of an automated debond process with preset parameters. After that, the tape can be removed manually. Then, an automated warpage adjust sequence is performed. The machine comes with two operation modes: Debonding and warpage adjust as well as warpage adjust only. An optional oxygen free TriTemp Slide can be provided for oxidation sensitive wafers, for example after application of a redistribution layer.